The Notaire’s role is not the same as that of a common law Attorney or that of a French Avocat and you cannot expect the same sort of service or advice. He effects the transfer of property and makes sure that the state is paid any taxes due, such as stamp duty. Although he is under a duty to advise clients this is very much more limited than you would expect when compared to an Anglo-saxon lawyer. The purchaser is entitled to choose the notaire who should be impartial. 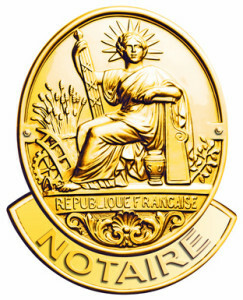 The seller may appoint his own notaire, in which case the notaires share the fee. It really depends on the circumstances whether a second notaire is necessary. Contact Maître Benjamin A. Kergueno, Attorney at Law today if you have to deal with a notary on the French Riviera. Maître Benjamin A. Kergueno, LL.M will provide you with a full set of informations and with the adequate counsels for dealing with him. For more information or to schedule an appointment with an experienced lawyer regarding the notaries, please contact us.